Since the current troubles in Northern Ireland began in 1968, there has been an explosion of research on the area. Hundreds of books and an even larger number of articles have been published. … It is quite possible that, in proportion to size, Northern Ireland is the most heavily researched area on earth. It’s now two years since the Northern Ireland Assembly collapsed in a feud between Sinn Féin and the Democratic Unionist Party, an unfortunate anniversary overshadowed by concerns about how the impending Brexit will impact the north’s border with the Republic of Ireland. By coincidence, two books about Northern Ireland just arrived at my reading chair, both published before the 1998 Good Friday Agreement. 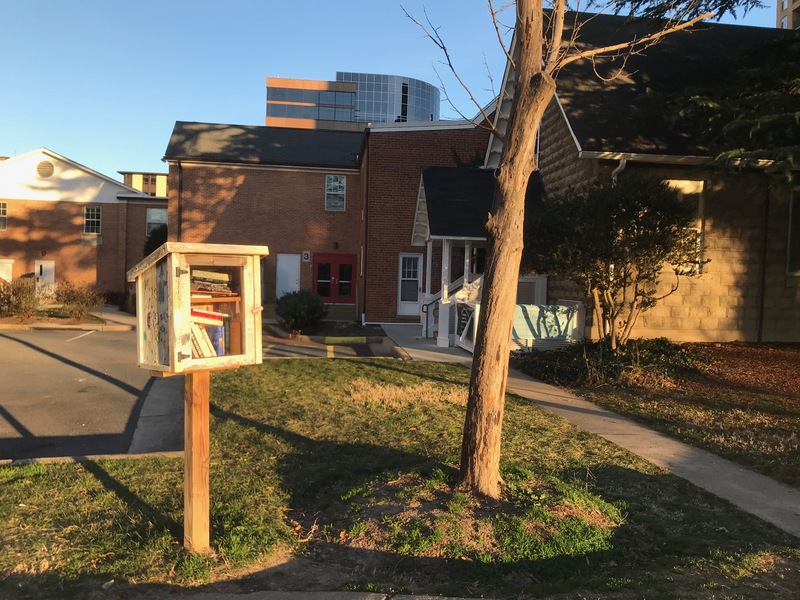 My wife plucked them from the “Little Free Library” outside the Episcopal church near our apartment building. Maybe you’ve seen one of these literary kiosks, typically emblazoned with the motto: “Take a book. Leave a book.” We’ve done both. 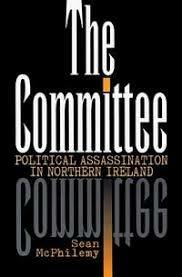 In addition to Whyte’s 1990 Interpreting Northern Ireland is The Committee: Political Assassination in Northern Ireland by Sean McPhilemy, which was published in February 1998, two months before the historic peace accord. At 21 and nearly 30 years old, the books are dated, thought not rare or antiquarian. As should be the aim of any good journalism (McPhilemy) and scholarship (Whyte), each attempted to provide the fullest picture of reality with the best information available at the time. Whyte’s bibliography stretches 27 pages. His concluding chapter includes a subtitle: “Has Research on the Northern Ireland Problem Been Worth While?” He notes there was not nearly as much academic attention to revolutionary Ireland in the period 1916-1923. Yet the people muddled through to some kind of settlement. From Irish experience one might deduce that research actually does harm: that the more work is done on a problem, the longer it takes to solve it. I do not put that forward altogether seriously–there were other reasons besides a mere absence of academics why the last round of troubles proved easier to bring to an end. But it could be argued from Irish experience that research does not seem to do much good. 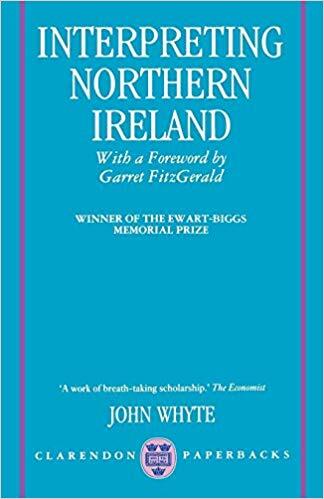 It is a tribute to the comprehensive and objective character of this work that one can say with assurance that no one is likely to be able to write intelligently about the Northern Ireland conflict in future without having first taken account of John Whyte’s last book. McPhilemy’s 1998 book is based on his 1991 “sensation documentary” for British television. Both alleged to reveal that Unionist members of the Northern Ireland business community, Protestant clergy, the Royal Ulster Constabulary, and British security forces colluded with Loyalist terrorists to murder Irish Republicans and other Irish nationalists. Irish America magazine publisher Niall O’Dowd and U.S. Congressman Peter King each qualified their promotional blurbs on the dust jacket with “If McPhilemy is right…”, and “If McPhilemy’s allegations are true…” , respectively. As it turned out, the book has spent more time under the noses of judges and juries than regular readers. Its post-publication history is a long docket of libel cases based on its central allegations and due to complexities that emerged in the then new “age of the Internet and global book publishing,” as The New York Times reported in 1999. Former Ulster Unionist Party leader David Trimble, alleged to have assisted the secret loyalist committee, was the most high-profile plaintiff. He won two judgements against online retailer Amazon.com for distributing The Committee via its online platform. The book was published in America by Roberts Rinehart Publishers, which also was sued and settled. It probably didn’t hurt Trimble’s case(s) that he co-won the Nobel Peace Prize for his role in the Good Friday Agreement. He also became the first “first minister” of the Northern Ireland Assembly, 1998-2002. Online sales of The Committee were supposed to have stopped, but the book is still available from Amazon. The full text can be viewed on the Internet Archive. Here in Washington, D.C., the Library of Congress has a copy; as does the Ralph J. Bunche Library at the U.S. Department of State; and most university libraries. Digital and print versions are also available at Queen’s University Belfast, and at the National Library of Ireland, Dublin. I understand that reputations can be damaged by shoddy or malicious reporting or scholarship. I respect libel laws, but suspect they too often are used as a cudgel to suppress information. I am encouraged that it is difficult to disappear books; whether recently created or a little aged; whether posted online; sold in a store; shelved at a library; or placed in the neighborhood book kiosk. This entry was posted in Business & Environment, History, Irish America, Journalism, Northern Ireland and tagged Brexit, Good Friday Agreement, John Whyte, Northern Ireland Assembly, Sean McPhilemy, The Troubles on January 12, 2019 by admin. 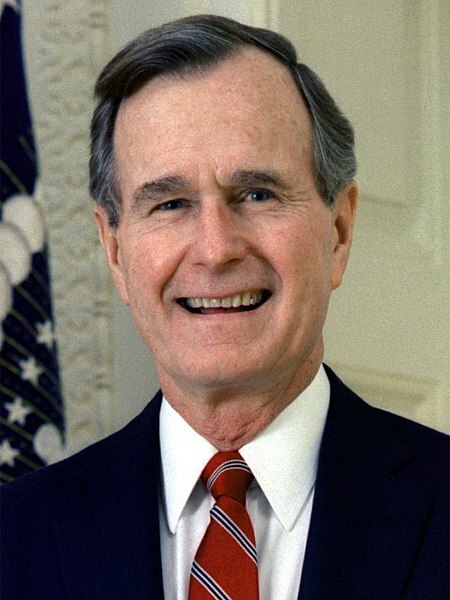 Irish political leaders are offering their condolences on the 30 November death of former U.S. President George Herbert Walker Bush. Sympathies to the Bush family on the death of George HW Bush. He was a notable President who left his mark on US politics. Unlike U.S. presidents John F. Kennedy, Ronald Reagan, Bill Clinton, or Barack Obama, Bush never had much of a relationship with the Republic of Ireland or Northern Ireland. Bush was Reagan’s vice president from 1980 to 1988, then won the office in 1988, spanning some of the bloodiest years of The Troubles. Once Clinton defeated Bush in the 1992 U.S. election, he sought to “establish distance” from his predecessor’s approach to Ulster, according to John Dumbrell in “The United States and the Northern Irish Conflict 1969–94: from Indifference to Intervention,” a 1995 piece. The Good Friday Agreement was reached during Clinton’s second term of office, 20 years ago this year. 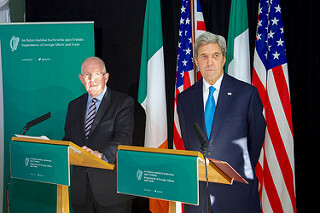 In 2010, introducing Clinton for a Atlantic Council Distinguished Leadership Award, Bush recognized his successor’s role in the Northern Ireland peace process. This entry was posted in Northern Ireland, Politics and tagged George H.W. Bush, Good Friday Agreement, Leo Varadkar, Michael D. Higgins, The Troubles on December 1, 2018 by admin. In April 1998 I was working as a reporter at the Mobile Register newspaper in Alabama. My newsroom was not yet connected to the Internet, and I was still two years away from owning my own laptop computer. Anxious to learn about the eleventh-hour efforts to reach a peace agreement in Northern Ireland, I drove to one of the city’s few Internet cafes. There, using a dial-up connection, I navigated to the New York Times, which had gone online two years earlier. That is how I learned that Irish nationalists and unionists, and the British and Irish governments, had reached a deal to end 30 years of sectarian violence known as The Troubles. My datebook for 10 April 1998, shows only the Delta airlines’ flight number and arrival time of a childhood friend making an Easter weekend birding trip to the Alabama Gulf coast. I did not note the historic peace deal. In the coming days and weeks, however, I did clip newspaper and magazine articles about the agreement, which I added to a folder of hard copy stories about Ireland that I had kept since the 1980s. 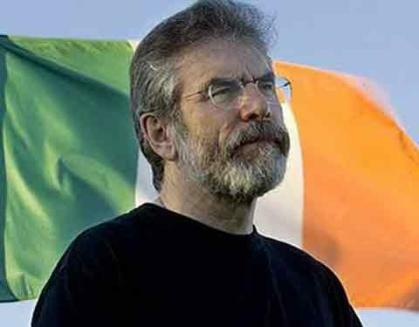 The voters of Northern Ireland and the Irish Republic have given overwhelming support to the peace agreement aimed at settling the sectarian conflict that has convulsed their island for centuries. … The referendum on the historic compromise was the first time since 1918 that Irish throughout the island had voted at the same time on the same issue, and the ballot counting today came on the 200th anniversary of one of the island’s many violent events, the first day of the Rising of 1798, in which Irish rebels tried to free their island from the British. 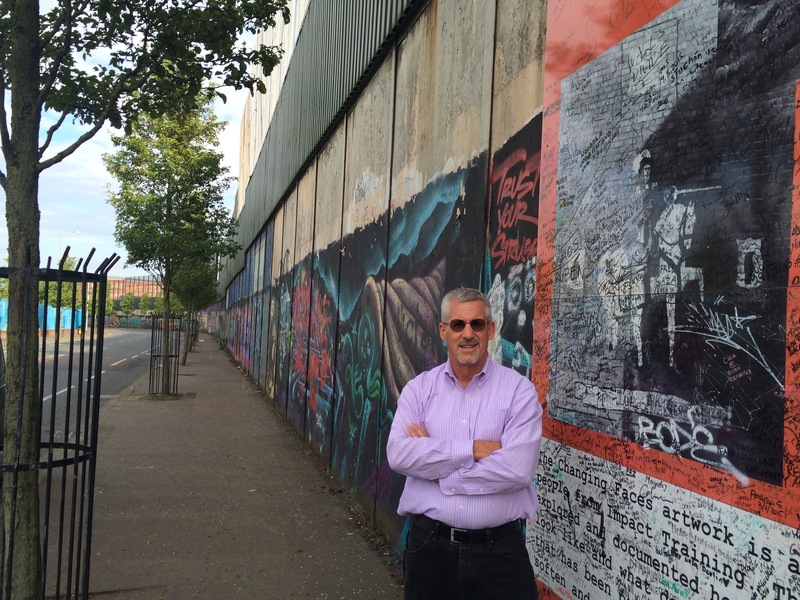 At a graffiti-covered “peace wall” separating Protestant and Catholic neighborhoods in Belfast, Northern Ireland, July 2016. Note William of Orange, “King Billy,” charging on white horse in the mural at right, which indicates what side I was on at the moment. The Journal.ie offers this background piece on the deal. 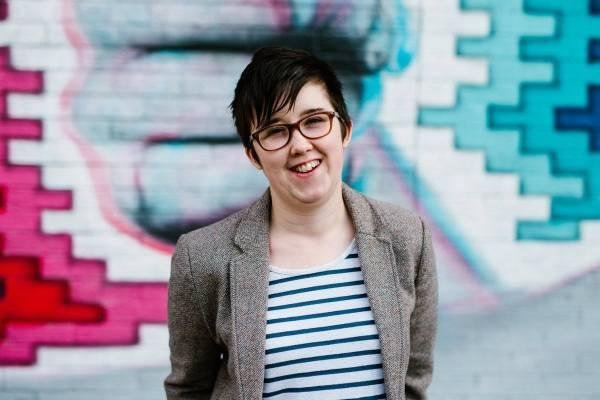 Kerrie Hope Patterson was born in Northern Ireland less then 30 minutes after the agreement was signed, the Belfast Telegraph reports. Today, the “peace baby” is a student at Trinity College Dublin. The Agreement “ended the bloodshed in Northern Ireland but has failed to achieve broader reconciliation between the nationalist and unionist political parties,” Padraig O’Malley writes in the Boston Globe. This entry was posted in History, Northern Ireland, Politics, Religion and tagged Good Friday Agreement on April 9, 2018 by admin. The High Court in Belfast on 28 October dismissed two challenges to the outcome of the Brexit referendum. The cases are likely to be appealed to the U.K. Supreme Court. 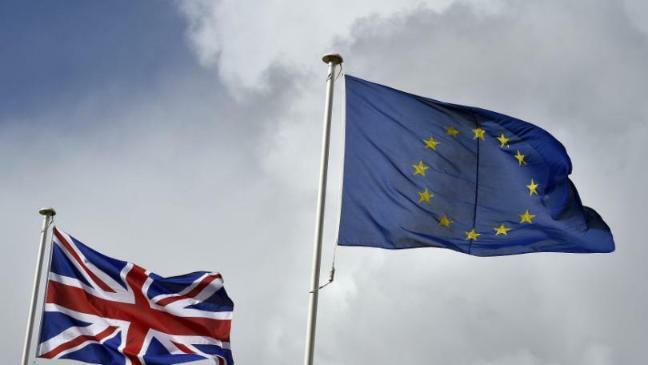 A human rights activist and group of nationalist politicians challenged the referendum on Britain leaving the European Union on grounds that the June outcome jeopardizes the 1998 Good Friday Agreement. Nearly 56 percent of voters in Northern Ireland rejected Brexit. Full coverage from the BBC and The Irish Times. This entry was posted in Northern Ireland, Politics and tagged Brexit, Good Friday Agreement on October 28, 2016 by admin. Just over half (52 percent) of Northern Ireland voters in a new opinion survey say they do not want a referendum on political reunification of the island. The poll for BBC Northern Ireland’s “The View” comes just shy of three months since the United Kingdom voted to leave the European Union. In the referendum, 56 percent of the Northern Ireland electorate voted to remain in the E.U. The BBC poll shows that if such a border poll were held now, 63 percent of northern residents would vote to stay in the U.K., while just 22 percent would support joining the Republic of Ireland. 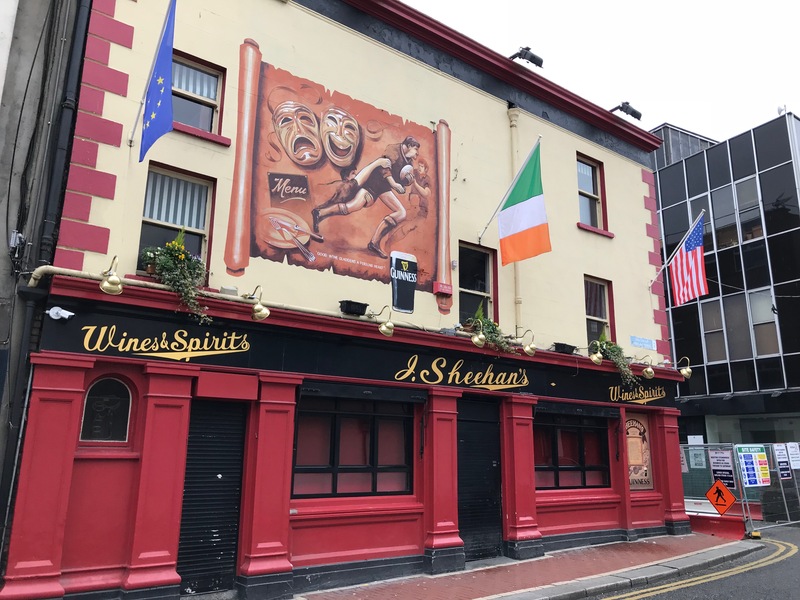 Shortly after the 23 June Brexit vote, the Department of Foreign Affairs in Dublin reported a sharp rise in the number of people from the North applying for Irish passports. Some observers quickly interpreted this as indicating support for a united Ireland. This entry was posted in Northern Ireland, Politics and tagged border poll, Brexit, Good Friday Agreement on September 11, 2016 by admin. 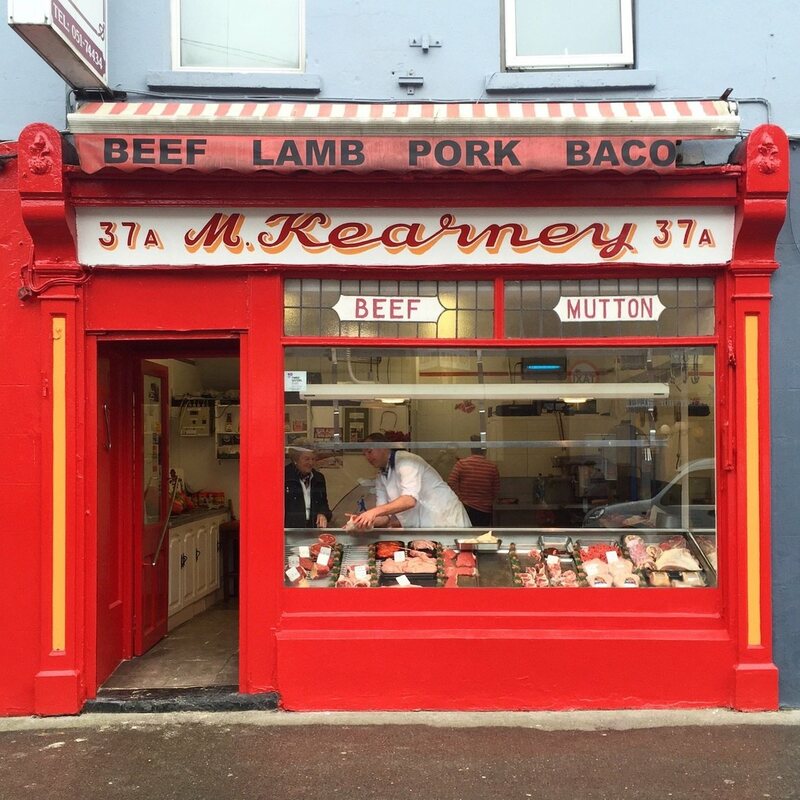 Why did Ireland split up, anyway? A 1937 map shows Irish Free State (south) and Northern Ireland. What impact does Brexit have on this arrangement? Voters in Northern Ireland voted by 56 percent to 44 percent to remain in the European Union (joining Scotland and the city of London in opposition to Brexit), but the overall referendum passed by 52 percent to 48 percent. Though leaving the E.U., Northern Ireland remains part of the U.K. Got that? Now, instead of a soft border between two E.U. countries (Ireland and U.K.), a hard divide will be created between E.U. and non-E.U. nations. It will be more difficult for people and goods to cross the border. What about reuniting the ‘two Irelands’ so both are in the E.U.? Last fall, an RTÉ/BBC cross border poll showed that just under one third of those surveyed in Northern Ireland favored political reunification of the island within their lifetime, compared to two thirds of respondents living in the Republic of Ireland. It’s important to remember that the poll was taken months before the Brexit vote. A sustained economic downturn resulting from Brexit may prompt Northern Ireland to embrace the Republic. Historical note: A 1973 referendum in Northern Ireland asked whether people wanted to remain in the U.K. or rejoin Ireland. The remain vote won by a landslide 98 percent, but Catholic nationalists boycotted the election for a variety of reasons. Of course, 1973 was just beginning of The Troubles, and long before economic globalization. What else could happen in Northern Ireland? There are already suggestions that Northern Ireland might join Scotland, if and when it splits from Great Britain as the result of Brexit. Northern Ireland and Scotland have shared historic and cultural ties. It’s also possible that a few of the six counties in Northern Ireland could rejoin Ireland, especially those on the border, while the others remain linked to Britain. Or Northern Ireland could opt for its own independence. This entry was posted in History, Northern Ireland, Politics and tagged Brexit, Good Friday Agreement on June 26, 2016 by admin.